Office space prices ranging from ₹140 - ₹100240 per month. 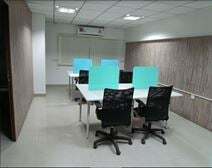 Situated in the heart of economic capital city Bangalore, these fully furnished luxurious coworking office spaces with all modern amenities are available on a flexible basis. 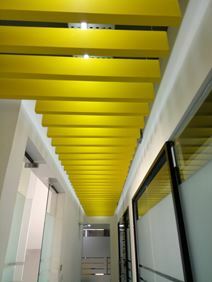 This office is within walking distance to the metro station and is surrounded by restaurants, coffee shops etc. The space includes five executive cabins, 15 workstations and one conference and meeting room. Access to AC, Wi-Fi, Intercom, cafe, pantry, and management staff. If you are after an outstanding business location in the heart of Bangalore, look no further. This serviced office provides the latest in office facilities and the best in support services. Notable features of the office include fully equipped conference rooms, state-of-the-art IT infrastructure and superior communication facilities. It is also very near to restaurants (KFC, TGI Fridays, Beach, 100 Feet) and prominent residential areas (Frazer Town, Banaswadi, Koramangala). Previous tenants of the serviced office include the likes of Adobe, Siemens, Network Appliance, Birla Sunlife and others. Located to important business areas and tech parks and well connected to public transportation as there is a bus stop within walking distance to the centre. Furthermore there are several shops, hotels, cafes, bars as well as international restaurants situated in this area if you would like to go out with your clients. This workspace offers co-working space and private offices which is perfect for startups. They have a lot of amenities like reception service, visitor management service, training centres, board rooms and much more that you can focus on the work that you have to do. With the ability to customise your office space to your spec this flexible workspace offers a mix of coworking and private office spaces to suit requirements from 50 to 50,000 sq. ft. A prime location close to the Outer Ring Road. An eco-friendly cowork space with fixed and flexi seating options available. Enjoy an unlimited supply of coffee and tea, and an interrupted power supply. In house legal support is on hand. All of the pens are made from recycled paper and designed to be biodegradable in its entirety save the refill itself. Furthermore, each pen has been embedded with the seed of the agastya plant, that’s waiting to be planted once you’re done with the pen. Just plant, water, and watch the roots of the plant emerge from the pot. Located off CV Raman Road. Next door to the space you can find Nikki's Pub & Restaurant and Chivas bar. 2 minutes' walk from the space you find Grand Thai Spa, where you can get some rest and relaxation. Also 2 minutes' walk from the centre is Sankey Tank, an ideal spot for lunch. This really is the prime location, you have everything at the doorstep of the office. It is an open space office measuring 1500 square feet, making it a flexible work environment. The space is suitable for large and small teams. You are only walking distant to various banks, cafes, restaurants, eateries and various bars. However if you are not in the mood to leave the office you always have the choice of the canteen that is on site. The office is all about convenience and diversity. Located close to the Agara Lake and surround by many parks which gives you a nice opportunity to go for a walk during your lunch time. This workspace is perfect for startups and travelling professionals and the centre has space to suit all your needs from co-working space to private offices. Further the offices have the capacity to grow with you and your company, and are an extension of who you are. Home of lots of start-up companies in Bangalore this building benefits from a prime Bangalore location and offers fantastic co-working office space. The centre helps your business to grow through a number of great on-site facilities while the surrounding area is full of great restaurants. Choose from co-working and private office configurations. Hi-Speed WiFi keeps your business running quickly. There is an open lounge area with breakout seating and a 3,000 sq ft pantry area. Administrative and It support is available. Meeting rooms are well-equipped with video-conferencing technology. Located nearby to tech and business parks such as RGA Tech Park, Gold Hill Square and Ozone Manay Tech Park. The nearest bus stop is a 10 minute walk away. In the surrounding area, there are numerous cafes, fast-food joints and restaurants. Close-by, there are also several supermarkets and banks. This space is the most affordable premium start up in the heart of Bangalore and offers a range of facilities and services to suit the needs of their tenants including ready to use plug-and-play shared and virtual office space for different team sizes, uninterrupted 24/7 internet, power back up, centralized air conditioning, event space, shared reception, 24-hour access and sufficient parking space. 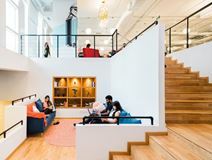 This fun and lively space takes the hassle out of office leasing as the operators take responsibility of leasing, security management, internet connections, power backups etc. so that you can focus on your business all while creating a culture that promotes motivation and inspiration through collaboration. Located on 18th Cross Road, this centre is local to cafes and restaurants, parks, banks, hospitals, shops and fast food chains. It's also easily accessible via vehicle and bus with ample parking on site, making it a great option for your business needs. Surrounded by companies that include Sunlux Technologies and the Gyan Lab this business centre has great public transport access and a range of private office space, dedicated desks and access to a training room and a conference room. Close to important business areas and tech parks, this centre can be found in a desired commercial market of Bangalore. Sharing a neighbourhood with an abundance of restaurants, bars and cafes as well as hotels, banks, retail venues, medical facilities and parks, in 5th Block, Kormangala. Productivity ready space suitable for emerging companies, startups, one-man armies, travelling professionals and individuals seeking enriching coworking space. From private offices and coworking spaces to meeting and board rooms, and event and workshop space, this centre offers the capacity to grow your company physically and connect you with role models to grow it productively. The Centre is centrally located in one of the most vibrant destinations of Bangalore. It is perfect for Start-Ups as they take care of everything while you are busy with your work schedules and hectic work hours. You can choose between open lounge work space, roof top work space or private cabins, whatever fits you best. To make you feel comfortable they will support you from maintaining hygiene to creating a productive work atmosphere, from your daily coffee to your team bonding dinners and from your board room meetings to your client presentations. A well-equipped office space. Modern furniture features throughout. The interior is light, fresh and spacious. There is a reception area, with staff, who are able to help with tasks such as telephone answering, printing, copying, and greeting your guests. Air conditioning maintains a cool temperature. Each office space has a local area network. Situated in a dynamic area in South Bangalore. Many IT and BPO have set up their operations in the vicinity. It is just a 15 minute drive to Bengaluru CBD. Step outside the space, cross the road and you will arrive at the nearest bus stop. In the surrounding area there are bars, restaurants, coffee shops. and banks. Productivity ready space suitable for emerging companies, startups, one-man armies, travelling professionals and individuals seeking enriching coworking space. From private offices and coworking spaces to meeting and board rooms, and event and workshop space, this centre offers the capacity to grow your company physically and connect you with role models to grow it productively. Surrounded by various eating venues and accommodation complexes with a park nearby, this is the idea space to set up you business address. 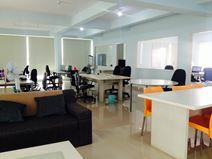 In the heart of Indiranagar, Bangalore, this plug-and-play workspace is ideal for individuals or companies looking to move in and start working straight away. Meeting rooms and boardrooms also available with state-of-the-art equipment. Situated in the affluent area of JP Nagar, this Bangalore training and laboratory centre provides excellent technical facilities and is equipped to deliver to groups of up to 25. 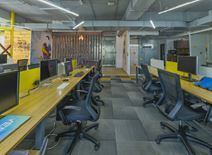 This co-working office space is located in Kammanahalli, a bustling centre of multiculturalism in Bangalore within a Grade 1 listed building in the heart of the financial district. A conference room is also available for use upon request. HSR Layout location. Providing fuel for passion and accelerating success. A thriving, creative community. This space is ideal for creatives, innovators, entrepreneurs, and makers. Close to restaurants, cafes, schools, stores, gyms, and banks as well as other professional businesses. Encouraging you to get out of the office at lunch time with the various parks dotted around the surrounding area. Productivity ready space suitable for emerging companies, startups, one-man armies, travelling professionals and individuals seeking enriching coworking space. From private offices and coworking spaces to meeting and board rooms, and event and workshop space, this centre offers the capacity to grow your company physically and connect you with role models to grow it productively. Situated in a hub of development. The space is positioned on 7th C Main Road. Close-by, there are countless restaurants, bars and cafes. Looking for a space with all the flexibility you can imagine? This space has it. With a range of facilities, including unlimited coffee and fruit water, plus a vibrant selection of custom-designed lounge areas, this center is ideal if you're looking for somewhere to build your business empire. The on-site staff are available to cater to needs you didn't even know you had, from standard reception services all the way to personalized support. This office space is located in Bengaluru's most vibrant and modern startup hub, Koramangala. Truly an entrepreneur's dream, this space offers various perks including on-site staff who are available to help throughout the work week from front of desk to personalised support as well as guest reception, and mail and package handling, private soundproofed alcoves perfect for taking personal calls, WiFi and unique common areas making it an ideal location for startups. Productivity ready space suitable for emerging companies, startups, one-man armies, travelling professionals and individuals seeking enriching coworking space. From private offices and coworking spaces to meeting and board rooms, and event and workshop space, this centre offers the capacity to grow your company physically and connect you with role models to grow it productively. Located on 80 Feet Road, this centre is connected to a number of bus routes and local to cafes, restaurants, hotels, apartments, banks and a number of medical facilities. Productivity ready space suitable for emerging companies, startups, one-man armies, travelling professionals and individuals seeking enriching coworking space. From private offices and coworking spaces to meeting and board rooms, and event and workshop space, this centre offers the capacity to grow your company physically and connect you with role models to grow it productively. Found in HSR Layout, this centre has great access to all the facilities you could need from schools and banks to restaurants and fitness centres, with Agara Lake Trail less than 10 minutes walk away you can take a stroll on your lunch break or whenever you need to escape the grind of the office. This Centre is based in a well connected location to the public transportation as there is a bus stop within walking distance and they have employee and visitor parking available. Furthermore there are a lot of international restaurants situated in this area which is perfect if you would like to take your clients for lunch or dinner. The workspace offers both co-working and private offices which are fully equipped and therewith this space is perfect for startups to grow their business. 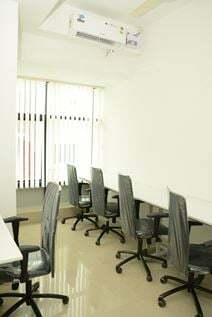 Fully-furnished co-working and private office space which are all customiseable in terms of workstation and interiors. The centre is very well connected as the next bus stop is just two minutes by walk from the building. Restaurants and a hotel are based in this area as well as some shops and a bakery. You never have to be committed to the office spaces for a long duration, you are free to set your duration of stay with no lump payments required. With everything a tenant could be looking for, this space offers amenities including dedicated high speed internet and quality telephonic services, with card-enabled access to maintain privacy of individual company’s spaces, and 24-hour access to office spaces to ensure you can work at any time of the day without interruption. This center is very well connected to Indiranagar, MG Road, Whitefield, Marathalli and Hebbal which makes it an ideal place to start your startup journey. A well-equipped work-space. There are dedicated desks, hot desks and private offices. Meeting rooms are equipped with large TV screens and conference facilities. Desks are accompanied by a lockable set of drawers. There is 24 hour access to the centre. Conveniently located on Bannerghatta Road. From here, the following roads are easily accessible; Hosur Road, NICE Ring Road, BETL, JC Road. There are a number of high-end hotels situated in the surrounding area. Also, there are many eateries to choose from. It is a 54 minute drive to Kempegowda International Airport. Opening soon. An office space offering private offices and co-working solutions. Both dedicated and hot desk options are available. There is a brainstorming room, event space and well-furnished conference rooms. This space is dog friendly. Situated in Arekere Village, on Bannerghatta Road. It is just four minutes' walk to the closest bus stop. Close-by, there are shops, restaurants, hotels and banks. It is an 11 minute walk to Royal Meenakshi Mall. Providing card enabled access to maintain privacy of individual company’s spaces, 24/7 access to office spaces is ensured so that you can work by your time. Dedicated high speed internet and quality telephonic services are inherent to basic infrastructure and facilities here while support is always available to help you get work done. For after work activities, there are numerous different amenities close by including shops, restaurants and cafe. At this convenient address in the heart of Bangalore, discover floors of coworking and private offices that cater to needs you didn’t even know you had. One all-inclusive rate makes things easy, and you can have all the flexibility in the world. Any workspace can have a lounge, but these ones are decorated with custom murals. Every detail has been considered and taken care of so you can focus on your business. Located in one of the fastest growing localities in Bangalore, this centre is located in a major infrastructural development which is home to a hub for several software companies, renowned educational institutions, hospitals, theatres, malls, residential complexes, and apartments. Knowledge Park was carefully designed to deliver 21st century working conditions with a wide range of state-of-the-art facilities. Here you will find ergonomically designed workstations, fabulous food courts, generous breakout areas, access to the helipad for rapid access from the Airport and beautifully landscaped gardens boasting water features including fountains and rock features that can be accessed via walkway. Just off the outer ring road at Sarjapur, Bangalore this business centre is strategically located and spread over 11,000 sq. ft. The growing and developing area is full of start-ups and technology firms and connected to major shopping malls. A bright, modern office building set in a stylish surrounding with business lounge facilities and dedicated support services. It boasts marble floors, wall-to-wall carpets, hand-crafted furniture and an expansive recreational garden. Enhanced secretarial services are available at an additional cost. Superbly situated in Whitefields (Bangalore's silicon valley) with excellent connection to other technology parks, international airport and city centre. This impressive business centre consists of first-class office spaces, fully furnished to a high standard and sophisticatedly decorated to offer a highly professional working environment. Located in the dynamic city of Bangalore, this business centre is surrounded by companies, luxurious hotels, restaurants, entertainment and shops and is close to the railway and underground station and the bus terminal. In the Silicon Valley of India, this centre is host to a community of individuals and businesses who sought out flexible, innovative, and fast-paced solutions to meet their business needs. 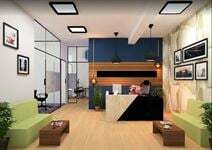 Whether you are a freelancer, consultant, startup etc this centre has a variety of work solutions from private offices to team offices, virtual offices and meeting and board room rental to go alongside the various amenities. Well connected to public transportation with a bus stop in walking distance and employee and visitor parking are available at the centre which makes it easy for you to get to work. Furthermore the centre offers a shared employee transport if to help the environment as well as it is a nice opportunity to get to work. The workspace has both co-working and private offices, perfect for startups and entrepreneurs. You can use a lot of amenities as they have a well equipped gym, power backup and so on. If you enjoy working alongside multiple creative minds that are working on some equally innovative products or some privacy while working but don’t want to let go of the benefits of networking too, there are spaces to suit you, so you can get the best of both worlds. The premium location well connected with road, rail and air, promises a transformation to the way you work. Located in Cessna Business Park, tenants will arrive to see all the facilities you need to set up your business are ready for you. Strategically located on the Outer Ring Road (ORR) in Bengaluru this business centre provides a prime location and fully furnished, serviced office space, meeting rooms and HD conferencing rooms. Less than a mile from Bellandur Road Railway Station. Merely a 10-minute drive from the airport this centre at Indira Nagar is located in East Bangalore which is known as one of the Bangalore's more modern areas. The centre has a total capacity of 62 workstations and two meeting rooms and is fully equipped with modern plug-and-play workspaces. The space is well connected to the majority of Bangalore and boasts convenient access to both bus and metro services. Opening soon. A dynamic working environment, where people come together, collaborate, share ideas and grow. This dog friendly location enables you to bring your furry friend to work! Micro-roasted coffee will keep you on the go, and refreshing fruit water will ensure you stay hydrated throughout the day. Perfectly positioned on Church Street, you will be spoilt for choice with the many bars and restaurants. MG Road metro station is two minutes' walk from the space. Alternatively, parking is available onsite. In the surrounding area, there are also shops, restaurants and banks. Air conditioned workspace with power backup and a chill zone if you need a break from work. Furthermore they offer facilities like high speed internet, printing and free tea and coffee if you want to start your day right. It is just a three minute walk to the next bus station as well as ATM's and restaurants are located in this area. Fully equipped offices located at the heart of Bangalore's Central Business District South and it is just a ten minute walk to the Lalbagh Botanical Garden and only one minute to the Shani mahatma temple. What makes this centre special is the dedicated team that makes business easy for its customers. There are a lot of restaurants and shopping opportunities located in this area. A fully-furnished workplace. The interior is smart and cosy. Meeting rooms are kitted out with conference facilities and A/V gear. Air conditioning provides a welcome relief. IT and administrative support is available. The space is accessible 24 hours a day. Reception services include telephone answering. Located at the start of Cunningham Road. Cubbon Park metro station is a five minute walk from the space. There are also several bus stops in the immediate surrounding area. Cubbon Park is a great place for a stroll and to catch some fresh air. Close-by there are a number of shops and restaurants. 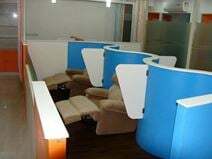 The office space has a modern furniture and is next to CSI Church near Trinity Metro station. The centre is in walking distance and there are several attractions including the Cubbon Park, the Venketappa Art Gallery, shopping malls and restaurants. There is a staffed reception if you need any further assistance. 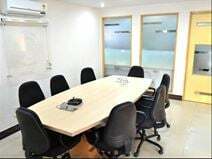 This serviced office is conveniently located in a business park which has been rated as one of India's top 10 operational business locations in a recent study by Economic Times. 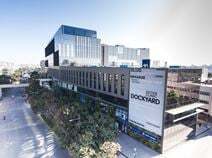 A host of other distinctive organizations such as IBM, Microsoft, LG, Goldman Sachs, Fidelity Investments and MacAfee are also based in the same business park which offers exceptional road network, food courts, cash machines, doctor-on-call and ambulance services. There is also a day care, fitness centre, convenience store and serviced apartments within the park. 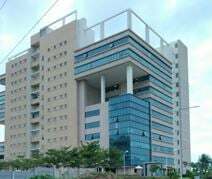 Located close to the IT Park, Bangalore (ITPB) in Whitefield this business centre has a total capacity of 387 workstations and four meeting rooms. Available are a xiv of flexible solutions including premium cabins, fixed desks and flexible desk arrangements with pedestal storage, lockers, whiteboards, pinup boards etc., along with a collaboration zone. Only 12km from Bangalore Airport and about 18km from the city centre. This brand new business centre is situated in the heart of Bangalores EPIP Zone Whitefield. Offering meeting rooms and offices on demand, this center also provides conference facilities and much more. This is a distraction-free workplace – just walk in and start working. The Centre is very well connected as there are several bus stops around the building. It’s fully air-conditioned with 100 % power back up, escalators and capsule lifts and mall management done by professionals. Furthermore there are many successful multinational companies, hotels, luxury apartments, restaurants, etc are based in Koramangala. The Centre enable startups to absorb their entrepreneurial knowledge and investment experience that they enter the business world with a success story. 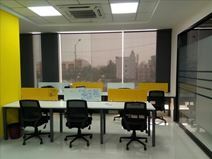 This office space provides an affordable co-working venue in the hub of Delhi, close to Connaught Place, Netaji Subhash Place, Gurgaon and Bengaluru, for startups to plug and play. Co-working space where entrepreneurs not only survive but also thrive is offered. Apart from the obvious, luxurious infrastructure including high speed internet and reception services, this space also offers free programs allowing local business owners to develop new skills. Priding itself on flexibility, this business centre has been well-established and offers a wide range of meeting, conference and training rooms. Superior IT infrastructure and other features such as printing, photocopy, fax, courier and postal mails are all available. Existing clients of the centre include Adobe, Siemens, Birla Sunlife and Network Appliance. Surrounded by exclusive amenities such as The Forum Shopping Mall, E-Zone electronic retail store, ING Vysya Bank, Manipal Hospital, K.G.A. golf course and Megabowl Bowling. 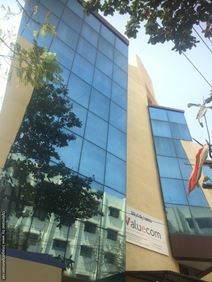 Situated in a premium Grade-A building within central Bangalore, this impressive centre offers a comprehensive list of on-site facilities including a food court with multiple food and drink vendors, a shuttle bus connecting tenants to the different areas of the tech park and a dedicated daycare facility for clients of the space with children. The centre is a 20-minute walk from the nearest train station and is a short drive from Kempegowda International Airport. This premium Bangalor commercial space is ideal for businesses of all sizes, with a comprehensive range of affordable corporate solutions. Created to suit the needs of startups, freelancers and corporates alike this business centre is easily accessible and well connected to most areas of Bangalore via buses and metro stations. The 350 workstations are complemented by six meeting rooms and are made up of a mix of fixed and flexible options. This centre is close to The Oxford College and Mahindra Tech Company. Operating from two floors of a mixed-use development, this centre provides a prestigious venue for your business in Bangalore. Spread across a large area of 10,890 sq. 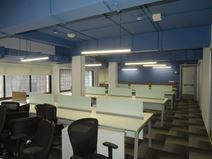 ft. this business center at Koramangala has the capacity for almost 300 workstations along with five conference rooms. Available are a choice of premium cabins, flexi, or fixed desks. A modern, upscale office space. Receptionists are on hand to meet and greet your guests. They are also able to help with small administrative tasks such as telephone answering and mail handling. Flexible terms enable you to size up if you hire new staff. The office maintenance and cleaning staff ensure a clean and tidy working environment. The breakout area features a coffee machine and tea making facilities. The centre is based over two floors of a hotel in Bommanahalli. It is located just off Hosur Road. In the vicinity, there are a selection of restaurants, banks, shops, and hotels. The Oxford College of Engineering is located next door. There are also several convenience stores situated nearby. Located in Bangalore's hottest startup hub and well connected to public transportation as you can reach the centre within a two minute walk from the nearest bus station. They offer a Wellness Room and private dedicated desks within an acoustically treated all-glass enclosure for focussed attention. Furthermore they have sun-soaked rooftop space for large format events and there are a lot of international restaurants based in this area. A fully-furnished, plug-and-play work-space. Private offices, co-working and virtual office options are on offer. Join the regular events to network with your fellow coworkers. Meeting and conference rooms are available to use. A cleaning service keeps the office space looking clean and tidy. Situated on Hosur Road. It is a 10 minute drive to central Bengaluru. Close-by, there are a great selection of restaurants, bars, cafes and fast-food joints. There are a number of hotels in the surrounding area. It is a 55 minute car journey to Kempegowda International Airport. The Centre in Kudlu Gate, Hosur Road comes across with ergonomic seating and storage lockers as well as printers, discounted office supplies and company signage so clients can locate your office. It is located in one of the ancient areas of Bangalore that sits amidst the lush green scenic surroundings and has lovely weather conditions. Well connected to public transportation and perfect for solopreneur, freelancer or a bigger business. Well-connected by public transport, including metros and buses, this space is one of the most premium office buildings in the HSR Layout. Offering everything a client could ask for, this space has on-site staff with years of experience in the industry, who can help you with any problems that you may encounter - from postal handling to administrative services. Affordable pricing and flexible terms allow you the flexibility to work in the office you need, for as long as you need it. Based within the HSR Layout, this space offers everything a tenant could be looking for. With years of experience in the industry, the highly trained on-site staff will be able to help you with any problems that you may encounter. This location gives customers the ease of not dwelling on traffic problems as it is well-connected to metros and buses. Those that use public transport are catered for while even those who drive can use the Outer Ring road and Hosur road and can access local parking. For after work activities, there are numerous different amenities close by including shops, restaurants and cafes. There are also many other business in the surrounding area to promote the transfer of knowledge. This center is very well connected to Outer Ring road and Hosur road. It is located in a prime location in HSR Layout and is very easy to reach. Dedicated high speed internet and quality telephonic services are inherent to basic infrastructure and facilities here while support is always available to help you get work done. The overall service is offered at an affordable price too whether it be a part time or day pass or even a virtual office, this space can cater for all your business needs. In the heart of Indiranagar, Bangalore and surrounded by a range of amenities and businesses, this business centre provides plug-and-play workspace allowing you to move in and start working right away. Boardrooms and meeting rooms are also available and are equipped with state-of-the-art video conferencing facilities. Premium office space is available in a prime location at this centre. All private offices come fully equipped, as do the space's shared workstations. Tenants can expect to rent at a very reasonable price for the quality of furnishings. This office space is in a wonderful location close to excellent transport links with numerous railway links close by. Tenants can also take advantage of the restaurants, shops and cafes that are in the immediate vicinity. 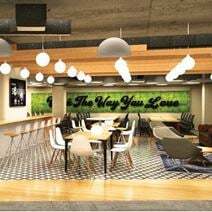 This brand-new center offers you relaxed co-working and private office space, whether you need one desk or 100. Located in the heart of the Embassy Golf Links technology park, you're only ever a convenient seven-minute walk away from KGA golf course. This space is a 26-minute drive from the center of Bengaluru, and just a seven-minute drive gets you access to a variety of restaurants, bars and cafes - perfect for entertaining guests. The workspace is near enough to KGA golf course that you can duck over for a round of golf after a meeting or for the meeting! Whether you are trying to grow your business or generate a network of like-minded entrepreneurs, this community space will be perfect for you. Enjoy your daily dose of barista coffee supplied on site and benefit from the super fast WiFi. Productivity ready space suitable for emerging companies, startups, one-man armies, travelling professionals and individuals seeking enriching coworking space. From private offices and coworking spaces to meeting and board rooms, and event and workshop space, this centre offers the capacity to grow your company physically and connect you with role models to grow it productively. Situated in Whitefield, this centre shares a community with a range of hotels, restaurants, fitness clubs and grocery stores. Positioned at the south-east quadrant of the Outer Ring Road this building provides direct access to the city"s CBD. 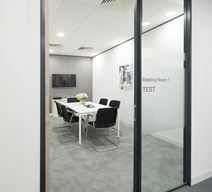 Facilities include meeting rooms, a business lounge, on-site 24-hour café, multi-level parking and of course a range of open-plan office space and fully furnished executive suites. Productivity ready space suitable for emerging companies, startups, one-man armies, travelling professionals and individuals seeking enriching coworking space. From private offices and coworking spaces to meeting and board rooms, and event and workshop space, this centre offers the capacity to grow your company physically and connect you with role models to grow it productively. Located at KFC Junction. Kempegowda International Airport is a 52 minute drive from the centre. Close-by, there are countless restaurants, cafes, bars and shops. The overall service at this business centre is offered at an affordable price - whether you only need an office part time or even a virtual office, this space can cater for all your business needs. Dedicated high speed internet and quality telephonic services are inherent to basic infrastructure and facilities here while support is always available to help you get work done. Those that use public transport are catered for while even those who drive can access local parking. For after work activities, there are numerous different amenities close by including shops, restaurants and cafes. There are also many other business in the surrounding area to promote the transfer of knowledge. Neighbouring several multi-cuisine restaurants and near Accel Partners office this co-working space is located on the tree-lined Koramangala Club Road. Well-appointed cabins, spacious open desk workstations, conference and meeting rooms available. A well-equipped office space offering virtual office options, private offices, hot and dedicated desks. Meeting rooms are kitted out with video-conferencing equipment. Breakout areas feature ergonomic furniture. IT and administrative support is on hand. The nearest bus stop is located on Hosur Road and is just four minutes' away. Alternatively, for those who drive to work there is dedicated parking. Step outside the space and you will be flooded with options to dine and drink. Close-by there are a number of banks, supermarkets and hospitals. 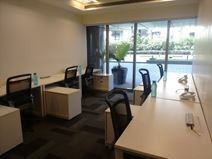 Office to let in a prime location in downtown Bangalore, just off SONY World. The office has an elegant façade as an attraction and a chic interior design to match for. Special feature of the office is its rooftop caféteria, where tenants could savour a cup of coffee and a pleasant view of the city centre. There are also Internet and Wi-Fi connection as well as air-conditioning facilities throughout. A dynamic, fully-furnished office space. High-speed, reliable internet is available. There is a staffed reception if you need any further assistance. Enjoy the opportunity to network and meet like-minded individuals. Flexible terms means that you can increase your desk space as you hire new staff. Located on the 2nd and 3rd Floor of the Supreme Overseas Exports Building. In the surrounding area there are technology parks and many Government offices. Situated close to public transport, it is a two minute walk to the closest bus stop and four minutes to Lalbhag Metro station. There are also numerous large enterprises such as Accenture and Intel. Nearby, there are several restaurants, banks, shops and a hospital. Surrounded by the biggest commercial centres and busiest shopping areas of Bangalore this business centre offers almost 300 workstations and five separate conference rooms. There are fixed and flexible desks available over a space of 12,890 sq. ft.
On Mahatma Gandhi Road in Bangalore CBD you will find this your new office space with the city's most prestigious business address. Located on the tenth floor inside a building with a tastefully decorated reception area, business lounge, a cafe and of course, other offices. Neighbouring companies and within the building work in the IT and electronics, banking, internet technology and consulting services industries. 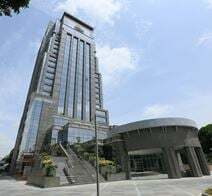 Also within the neighbourhood you will find hotels, restaurants, cafes and eateries, banks, schools, the Garuda Mall and Bangalore Football Stadium. This quality office space eliminates capital outlay, time delays and overheads for all it's occupants, which means you are free to focus on your business demands and growth. Offering large businesses, independent professionals and remote teams work spaces with personalized services as well as a corporate experience with superior infrastructure, excellent transport connectivity, flexible payment options, an in-house cafeteria, enterprise quality internet and a fun-zone; you won't need to look further for your new office! Office suites within a plush hotel. Conference/ meeting rooms are well-equipped with WiFi and projectors. Flexible terms enable you to reduce space or add on more, by just giving one month's notice. Office assistance and reception staff are on hand to keep your business running smoothly and efficiently. Situated at the junction of Madiwala and Hosur Roads. The nearest bus stop is just three minutes' stroll from the centre. A fantastic perk of being based in this space is the valet parking available for you and your guests from the hotel. In the vicinity there are several other hotels, restaurants, shops, and fast-food joints. Offices for lease on the ever popular MG Road, the heartbeat of Bangalore where everything that you need can be located within minutes’ walk away. Luxury hotels such as The Taj, The Oberoi and The Park are nearby as is a number of banks, financial institutions, government offices and retail shops. It only takes around 15 minutes’ to reach Bangalore International Airport from the office. Other notable companies in the vicinity include AMD, Standard Chartered Bank, Deutsche Bank, Ernst & Young, Western Union, Siemens and Philips. 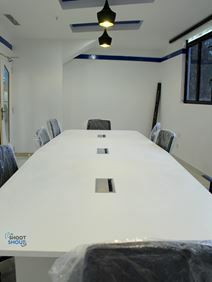 The workspace is located in Jayanagar close to the public transport. It is one of the best planned most beautiful tree lined layouts in Bangalore with a vibrant and varied work culture where the old and the new exist in harmony. In a quiet nook in the heart of Jayanagar 4th block easily accessible from CBD Bangalore and also JP Nagar and beyond. 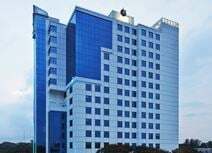 Housed on the 11th floor of this strategically located building in northern Bangalore, this center provides good access to BIAL airport and various IT pockets such as Marathalli and Whitefield. The centre prides itself on being flexible and can provide office solutions for between one and 100 people. This centre is located in the vibrant suburban business district of Marathahalli. It is close to retail outlets, high-end hospitals, residential layouts, and luxury & budget hotels and excellent transport links. The centre offers fully furnished offices, along with high-end IT infrastructure. Located in the Heart of Bangalore's CBD and well connected to major business areas by public transportation makes the location of the centre special. The Boutique Business Center and co-working space is surrounded by many luxury Hotels, international restaurants, eateries, pubs and shopping malls. The centre offers onsite beverages, tastefully done up office cabins and a great view. Found on Old Madras Road this centre is part of a commercial complex ideally situated between Whitefield and CID. A host of local amenities are available as is access to meeting rooms. 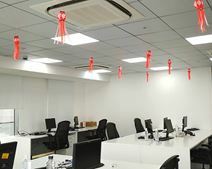 Situated on the outskirts of Bangalore's central commercial district, these rental offices are widely recognised as a prime business location. It offers an array of facilities including professional reception services, superior IT infrastructure, high-speed broadband and 24-hour access. The office enjoys a panoramic view of the magnificent Ulsoor Lake and also nearby a collection of 5-star hotels - The Taj Hotel, The Oberoi and The Park. The international airport is only a 20 minute drive from the office. This well-equipped centre offers exclusive events for its members. There are energetic work spaces, common areas and an overall community feel. Like-minded individuals come together to create a collaborative experience. Phone booths are accessible for quiet phone call conversations. 24/ 7 access to the centre is available. The Connect Phone App enables you to book meeting rooms. Located in Bengaluru CBD. It is a 3 minute walk to the closest bus stop, meaning the centre is easily accessible by public transport. In the surrounding area there are many businesses, ATMs, restaurants, shops and a grocery store. Take a 5 minute stroll down to Ulsoor Lake where you can take a seat and enjoy your lunch break. Located in the Sai Complex, this coworking space offers a uniquely designed area for you to work in without feeling like you're stuck in the office. A comprehensive environment for all startups, this office building is designed to a high standard, with the specific needs and individual tastes of each tenant in mind. The location of this centre offers you the unique opportunity to access a variety of facilities, including restaurants, banks and shops - plus the Cariappa Memorial Park is just a few minutes' walk away. Modern furniture with coworking space and welcoming reception area and elegant offices which is just a two minute walk away from Whitefield Bus Terminal. High-speed internet as well as staff would be available if you need mail handling and/or call answering. During your lunch you could go for a nice little walk through the Nallurhalli Park which is less then 10 minutes away from the office space or visit one of the restaurants in this area. The centre is well connected to public transportation with a metro station right next to the building. Based in the heart of the city with a unique interior design as it was designed by a modernistic architect of Bangalore. Facilities like unlimited tea / coffee and high speed internet should make you completely focus on your work. Community managers are available if you need any assistance. The office space is sparkling new and caters for the modern 21st century businesses. Spacious meeting rooms, executive desks, premium leather chairs, superior workstations and dedicated broadband access are just some of the features of this office. Professional business support services are also available as an addition. Superbly located in the central business district of Bangalore, home to international headquarters of well-established IT companies. Productivity ready space suitable for emerging companies, startups, one-man armies, travelling professionals and individuals seeking enriching coworking space. From private offices and coworking spaces to meeting and board rooms, and event and workshop space, this centre offers the capacity to grow your company physically and connect you with role models to grow it productively. Located on Old Airport Road, inside The Leela Palace. The nearest bus stop is just two minutes away and for those who drive, there is onsite parking available. Nearby, there are a number of cafes and restaurants. This office building is your one-stop centre for all your business needs in Bangalore. It provides abundant office space, fully-equipped meeting, conference and training rooms, an exceptional outdoor venue and first-class administrative services. There is also a business hotel on the premise to cater for off-site training events and team-building activities, supported by catering from the in-house restaurant. The building is strategically located on Old Madras Road, a short distance from the city centre, international airport and also Whitefields, Bangalore's new commercial district. Opening soon. A stylish, quirky space with plenty of colour, and natural light. The furniture is modern, ergonomic, and cosy. Phone booths enable you to take phone calls/ video chats in a soundproofed, private alcove. Fresh fruit water is available to ensure you stay hydrated. A cleaning service, which operates at all times of the day maintains a tidy, presentable working environment. Located on Old Madras Road, on three floors of a 13-storey building. The closest bus stop is located outside the building. There is also parking available onsite. In the vicinity, there are shops, restaurants, hotels, and banks. There are also two gyms located nearby. 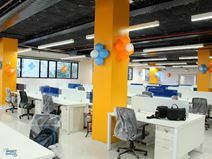 Inside the Silicon City of Bangalore this cost-effective workspace in the centre of Banaswadi has been created to provide an atmosphere to enhance creativity, collaboration, connectivity and sustainability ideal for freelancers. Entrepreneurs and start-up businesses. With the availability to accommodate small and large teams this co-working space has a 3000+ member capacity and is ready to move into. Besides a large host of amenities that come included with the centre membership, you also gain access to the centres infrastructure and other additional benefits across all centres. Clients can enjoy stunning views alongside convenient access to a range of local amenities. 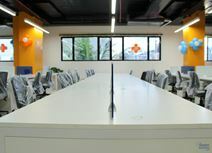 With good connectivity to the Central Business District this New Age designed plug-and play office space is made up of a total of 407 workstations and four meeting rooms. A work environment to suit the needs of startups, freelancers and corporates alike. Located to important business areas and tech parks and well connected to public transportation as there is a bus stop within walking distance to the centre. Furthermore there are several banks, hotels, cafes, bars as well as international restaurants situated in this area if you would like to go out with your clients. This workspace offers co-working space and private offices which is perfect for startups. They have a lot of amenities like reception service, visitor management service, training centres, board rooms and much more that you can focus on the work that you have to do. Air conditioning keeps the space at a comfortable temperature and the UPS power backup ensures your business runs without a glitch. Round-the-clock CCTV monitoring in common areas and general security to keep your belongings safe. Office Unit Floor point terminations includes Data, Voice & Redundant Points per seat. Data Center with round-the-clock cooling and power backup on N+1 model. Located in Manyata Embassy Business Park. The closest bus stop is 13 minutes' walk from the centre enabling an easy commute to work. Elements Mall is a 25 minute walk from the centre. In the surrounding area there are several restaurants, banks and ATMS. Day care centres are available where working parents can leave their child during the working day. Opening soon. An innovative work-space, perfect for entrepreneurs. The interior is stylish and modern. Link up to the hard-wired Ethernet or secure WiFi. There is also guest log-in availability. Breakout areas are living-room-style. They feature large comfy sofas, and a variety of chairs. Situated 10km from Hindustan Aeronautics Limited Airport, the centre is easily accessible by international business travellers. 12 minutes' car ride will take you to Belandur Road railway station, and a 14 minute walk will take you to the closest bus stop. In the vicinity, there are coffee shops, banks, and restaurants. Located in a very well connected area with, in & around, the city through Roadways and excellent connectivity by bus. Furthermore they offer in-house parking and there are restaurants and hotels close by. The Centre is based in a Grade A property and is well equipped with all modern amenities. There is staff on site 7 days a week and they are focused on creating services and experiences that enhance the productivity of your employees, so they can focus on work. The centre located at Global Technology Park which is a great location. Surrendered by cafes, food court and metro and railways. The centre provides High Speed Internet, Printing & Support, Conference / Meeting Room, Serviced Smart Business Cafe, Inspiring Community, Gaming Rooms, Courier Services ,Gofer, Fully equipped Conference rooms, Friendly Reception and Contemporary Cafeteria. The Centre is in Outer Ring Road which is surrounded by Temple, garden and park which provide a nice environment which gives you the opportunity to go for a nice walk during your lunch time and get some new ideas for work. You The centre is near to the bus station and the centre itself offers employee and visitor parking if you should travel with your own car. The centre provides multi-cuisine food court, employee/visitor parking, sick bay and doctor-on-call, mail room, convenience store pick-up counter, washrooms with wheelchair access, (shared) employee transport and well-equipped gym room. Superbly situated in the North East Quadrant of Bangalore, this business centre offers a tranquil location far from all the hustle and bustle of the city yet close to everyday conveniences. Serviced apartments, retail shops, food courts and grocery shops are all either adjacent to the centre or within the vicinity. In terms of facilities, the centre provides state-of-the-art audio and visual equipments in all conference rooms and also an IP-managed multi-purpose printer. An onsite caféteria is also available with both hot and cold beverages at any hour of the day. With a prime location this brand new business centre has state-of-the-art infrastructure and a prime location on the Outer Ring Road, Marathalli. There are hourly workspaces and on-demand meeting rooms as well as high-speed Internet. Located in a prestigious, Grade A tower building this great workspace provides beautiful views of the city and lush greenery of the nearby golf course. Situated on level 11 this workspace offers premium serviced office facilities with high-quality furnishings, state-of-the-art meeting and conference rooms, and stylish breakout areas. An easy accessible Centre from the main road in a much sought-after address by businesses. The Centre itself is a corporate-looking building for the outside and fully equipped with a host of functionalities on the inside. Companies who have made the workspace their growth centre are proudly displayed with their names in a vibrant reception area. The Foodcourt and the terrace cafe are popular destinations for the lunch time as well as the centre offers a well equipped gym if you would like to go for a workout during your break. These modern offices are situated on a business park in the east central part of the city. The park is strategically connected to major shopping malls, residential areas and central business districts. Custom designed to suit your needs without compromising on style, this premium office space provides you with top-class services and facilities to help you achieve your maximum productivity. Located at the heart of the city, inside Bangalore's CBD, this centre is conveniently located just a few hundred metres from the nearest metro station, and the main road is a very quick walk - offering shopping options and eateries. Located in the heart of Bangalore’s Central Business District in a high security zone, this premium Grade A commercial office space provides a premium address from which to run your business. Equipped conference rooms complement the quality serviced office space. Whitefield is the ‘New Bangalore’, with many hi-end shopping malls, super-specialty hospitals, and extensive bus connectivity it has become a desired business location. This space offers a complete business solution at an affordable price. Workstations, private office suites, and virtual office spaces are available with access to boardrooms and professional services. With 24-hour access and around the clock security, you can come and go as you need. Office assistance, a receptionist, housekeeping, professional services are just some of the facilities that this space offers alongside it's fully furnished spaces with desks, ergonomic seating and storage lockers as well as printers, discounted office supplies and company signage so clients can locate your office. 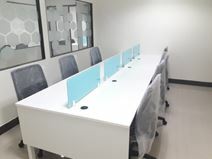 Adjacent to the Ritz Carlton in Bangalore"s CBD this business centre and co-working space provides a mix of contemporary hot-desking and cabin room space available. The building has a microbrewery on the terrace, a fully-equipped pantry, meeting rooms and a six-seater conference room. Within a short walk of MG Road Metro Station this centre houses a mix of domestic and international companies and is only 500m from Mahatma Gandhi Road. Providing a range of offices from one person up to spaces to cater for seven people, tenants also have access to a conference room that seats up to 10. This revamped historic theatre now provides a unique location and a hub of collaborative working in Bengaluru. Co-working spaces are spread over six floors while conference rooms and private offices are also available. Amazing amenities away from your desk include a swimming pool, Jacuzzi, cabanas, and rooftop bar. Commuters can access underground and rail services from Mahatma Gandhi Road, which is a short 10-minute walk away. Opening January - Open an energetic coworking space, spread over 10 floors and offering virtual, coworking and private office solutions alongside a variety of premium amenities. Perfect for those seeking more than a plug-and-play solution. Situated in one of Bengaluru’s prime locations, this space is well-connected to MG Road and Richmond Road with great amenities nearby. Enjoy delicious restaurants, funky bars, and blissful coffee shops as well as banks and ATMs, health clubs, retail venues, the Bangalore Club, and Sree Kanteerava Indoor and Outdoor Stadiums. At the intersection of Lavelle and Richmond Road you will find this primely located centre occupying a vast amount of space at Skav 909. Taking design and functionality to a whole new level this centre has over 250 workstations found within premium cabins and within the flexible desk open area. With three meeting rooms, which can be booked on the company app, and a collaboration zone consisting of meeting lounges and pods, this space provides you with the right activity-based ambiance to foster productivity. Fixed desks and premium cabins are fitted with pedestal storage, whiteboards and pin-up boards, and in the flexible desk space you can set yourself up in the vibrant community setup. Obtain meeting credits, sip on complimentary tea and coffee, and printing your needs using your member credits. As a member you will also get access to the centre's rewards program, where leading merchants have provided preferential offers just for you! Assisting your everyday needs, the on-site community managers and centre team in this centre make it possible to focus on growing your business on your own schedule. Flexible working has never been easier! With a neighbourhood filled with a variety of hip pubs and restaurants and a strong connection to the metro station this centre is perfect for you. Productivity ready space suitable for emerging companies, startups, one-man armies, travelling professionals and individuals seeking enriching coworking space. From private offices and coworking spaces to meeting and board rooms, and event and workshop space, this centre offers the capacity to grow your company physically and connect you with role models to grow it productively. Situated on Sarjapur Main Road. Nearby, there are numerous restaurants and cafes. There is a fitness centre 10 minutes' walk from the centre. 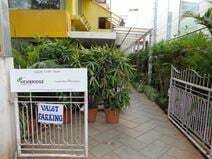 Located in a nice area in Bangalore and well connected to public transportation as well as the centre offers employee and visitor parking. They offer co-working space and private offices, meeting and board rooms as well as event and workshop space to suit all your needs. In addition to that they have a well equipped gym and meditation room in the centre if you would like to do some sports. Close to the workspace are some shops, bakery and international restaurants if you would like to go out for food. An inspiring place to work located among stores, pharmacies, banks, hotels, restaurants, schools and fitness facilities. Fit for creatives, innovators, entrepreneurs, and makers. Fueling passions and accelerating success all while offering more than just office space as it boasts a thriving, creative community with all the resources you need to run a successful business. Within walking distance to Agara Lake and the Agara Lake trail for lunchtime excursion or early morning/late night walks to relax before work or returning home. Sophisticated office space offering everything that you are looking for. With years of experience in the industry, the highly trained, on-site staff will be able to help you with any problems that you may encounter. Providing card enabled access to maintain privacy of individual company’s spaces, 24/7 access to office spaces is ensured so that you can work by your time. Well connected to metros and buses with access to malls, restaurants and cafes. The Centre offers both co-working and private offices and is suitable for startups, one-man armies and travelling professionals. Furthermore they have the space to suit all your needs as you can design your private office as you would like to and they have the capacity to grow with you and your company. The workspace is well connected to public transportation within a bus station in walking distance and next to the Highway if you should travel with your own car. Located in key business and residential areas such as Electronic City, Outer Ring Road, Whitefield and Koramangala, operating out of this centre makes absolute sense for companies on the cusp of growth. The Centre is well connected to public transportation and offers employee and visitor parking if you are travelling with your own car. It is perfect for startups and you can choose the area were you want to be as well as you can create your own design for interiors, seating etc. Productivity ready space suitable for emerging companies, startups, one-man armies, travelling professionals and individuals seeking enriching coworking space. From private offices and coworking spaces to meeting and board rooms, and event and workshop space, this centre offers the capacity to grow your company physically and connect you with role models to grow it productively. Close to central Bangalore, this centre is found among restaurants, hotels, schools and malls as well as leisure locations like sports stadiums, cinemas, aquariums and museums. The centre is in Someshwara Temple Road which is surrounded by cafes and restaurants which is perfect if you would like to go out for dinner with one of your clients. The centre provides multi-cuisine food court, employee/visitor parking, sick bay and doctor-on-call, mail room, convenience store pick-up counter, washrooms with wheelchair access, (shared) employee transport and well-equipped gym room. Gain secure access to this centre offering premium cabins and flexible desk options for your business.With a collaboration zone to assist your networking and business engagements the space is perfect for your productive needs. A range of membership options provide different levels of complimentary services like meeting credits however, enjoying tea, coffee and printing credits on a complimentary basis is something all members have access to as well as on-site assistance from community managers and the centre team. Strategically located in Central Bangalore, a growing area, full of life, this centre is local to many residential colonies, both old and new. Found in the neighbourhood are many renowned hospitals, educational institutes, government offices, eateries and shopping centres alongside some of the cities famous historical monuments and tourist attractions. The area is well-connected with areas like Richmond town, M.G. Road, Residency Road, Infantry Road, Shivajinagar and UB City. With private and virtual offices available as well as co-working spaces; clients can choose the option that suits their business the best. Printing, copying and scanning facilities as well as high-speed WiFi and a variety of meeting rooms ensures that clients can work in a professional and efficient manner. In addition, there is an on-site management team, which provides administrative support and external event space for tenants to take advantage of. An outdoor terrace area is also available for tenants to choose should they want a change of scenery for the day. Situated between the lively Central Business District and Whitefield as well as having connectivity to the whole city through the Namma Metro rail, this building has a perfect location for all. The best of fashion and shopping is all in an arm’s reach as well there being a variety of food and beverage outlets for clients to enjoy. Kempegowda International Airport is also less than 15km away from this centre. A fully-furnished, modern centre with excellent business support. 24/7 access enables you to access your workstation at any point. House keeping and the maintenance team ensure you work in a clean and hygienic environment. Using the bio metric and key card access, you can keep a track or generate the attendance report of the employees. An exciting feature of this space is the camera access, you can have a personalized live view of your office cabin anywhere anytime on your mobile. If you need an Auditor or Finance consultant, the centre can support or provide assistance for all your monetary advisory requirements. Conference and Banqueting facilities are available at the premises – if you are looking to plan any banqueting, conferences or family events, the space can help accommodate up to 150 pax. 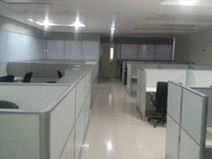 These rental offices offer a tremendous proposition for businesses to set up their base in the booming commercial area of Bangalore. Backed up by friendly and professional staffs, the office provides a range of meeting and conference rooms in addition to 24-hour CCTV for added security. Air-conditioning facilities and high-speed Internet access are also readily available. The office is situated close to MG Road and within close proximity to Bangalore's leading hotels, clubs, restaurants and entertainment centres. This centre provides a progressive and comfortable work environment. It is home to some of the largest corporations in India, including Citibank and Ernst & Young. Offering the best furnishings, IT infrastructure and superb conference facilities. A well-equipped, accommodating work-space. House keeping maintains a cleanly work environment. AC and utilities are included. Enjoy 24/7 access to the centre. IT support/ help is available. Meeting/ conference rooms can be booked. There are printers and copiers. Situated opposite the 1MG Mall. Trinity metro station is a 6 minute walk away and there are a number of bus stops nearby. There are many shops and restaurants in 1MG Mall. There is also a cinema, several hotels and banks. Ulsoor Market is a 7 minute walk away. The centre is in Whitefield area which is close to Ramagondanahalli Bus Stop and ITPL and Tech Parks. The centre is surrounded by Theatre, Temples, Church and government school. Bengaluru airport is seventeen minutes drive from the centre. The centre provides 24 hour access, 24 hour security, parking, CCTV, copy and printing facilities and free high speed Wifi for your daily office use. The team in the centre can provide a great support for all of you. This office complex provides a one-stop business solution in the heart of Bangalore's central commercial district. Ready to use offices including receptionists, office assistants, network of vendors and consultants are available to kick-start your business in no time. The unique feature of this office is their professional support services team who are knowledgeable and more than willing to tailor their offering according to your business requirements. In addition to this, virtual office facilities are also provided complete with secretarial services and usage of office space as and when needed. Fully furnished offices to let with modern facilities including spacious meeting/conference rooms, business lounge and high-speed Internet access. Professional reception services, 24-hour access/security and CCTV are also available for your convenience. This office is located close to Bangalore's Information Technology Park (ITPL) in Whitefields where many multi-national companies are based. Good connection to Bangalore International Airport and well-connected to the city centre; the famous Sri Sathya Sai Institute of Higher Medical Sciences Hospital is about 1km away. Excellent transportation facilities; located just 50 meters away is the main bus stop and auto stand is available and the proposed metro station is located only 360 meters away. They offer amenities like a large spacious Food court, a 10 screen multiplex cinema and a fitness centre. Step into this fully-furnished work space and meet like-minded individuals. Phone booths are available for quite, private phone calls. Exclusive events are accessible by members. Dedicated desks include desks and storage units for you and your team. Private studios are beautiful and private all-glass enclosure built for focused teamwork. Virtual offices are available providing premium work addresses to upgrade your business. Located within one of the hottest micro-markets in the city. There are bus stops situated 10 minutes' walk from the centre allowing for an easy commute to work. Sap labs Gym is 13 minutes' walk away where you can work up a sweat during your lunch break. There are many eateries, hotels and ATMs in close proximity to the space. The centre has good transport links and is situated around 12 km from Bangalore Airport and about 18 km from the city centre. It's possible to book a seat next to a window if you prefer to work with natural light during the day or choose one of the air-conditioned spaces more inside.